Is now a good time to invest in cryptocurrency? When I started writing about this industry in 2014, I never knew that I would still be asking myself the same question 5 years later. And my answer is still the same. YES! Yes!! It is just fine to invest $100 in cryptocurrency because it is easy and fun, and also has just as good of a chance to provide a return on investment as any other stock or investment. In some cases, investing in cryptocurrency is an even wiser decision because it allows for greater control over your investment, especially when you invest in something that you can use in your daily life. This could be in a currency like Synchrcoin, which has a utility value at participating restaurants, so you can easily buy some coins, and use them as an investment, or use them at your restaurant for dinner. I call this concept the “floating value” of a currency. When you can use your investment as a currency, like you can with crypto, this affords more flexibility in usage over traditional stocks and bonds. The concept of having it gain value in relation to its supply and demand is the varability or profitability that can be gained on the coin; which is also known as the floating value. When you currency rises in price, you can buy more food. When the currency reduces in price, you get less food. Since the projects on the blockchain are relatively new, there is an upside to some cryptocurrencies because of their propensity for widespread adoption and growth. Almost every industry has a coin associated with it now, and many industries have multiple coins, which increases competition and counterparty efforts. 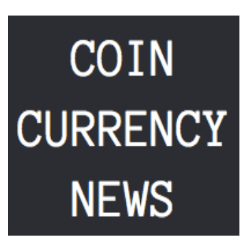 Right now, Coin Currency News is working with the MyTeen Coin project to develop an acceptance of teen coin at our site and with our partners so we can use the currency to add value to our business. At this point, we are just using the Teen Coin as a test project and will probably develop new projects and coins once we have decided on the best coin, which may be a completely unrelated coin to our industry, but for now, we are working to get people onboard, so that when we do find a good coin, we can buy lots of it. Stay tuned for some video news soon!! Add me on Linked In and message me an expression of interest before July 31 to hear about our new proposal.